Air pumps come in a variety of sizes and shapes to accommodate multiple applications that may be critical in your facility’s process pumps system. Unfortunately, air pumps and any other pumps do break down after years of consistent use. Arroyo Process Equipment understands that downtime is costly and organizations can’t afford delays in a critical air pump repair. Our team of certified technicians can repair your pumps with our extensive pump parts inventory stocked in our headquarters in Bartow, FL. 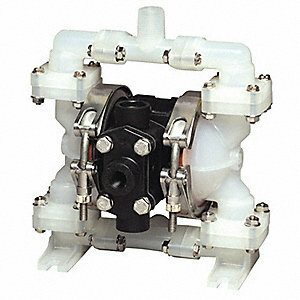 Our pumps are currently in use in manufacturing facilities around the globe. They are at work keeping our water systems safer, moving agricultural waste and more. Our engineers know the proper equipment to recommend for a wide variety of applications, and our experienced team can help you develop processing systems and even complete the engineering and installation of your system. Our turnkey systems are perfect for those who are opening brand new facilities. If your company uses process equipment, you deserve to have a single company you can rely on for all of your needs. We have learned that the better we know our clients, the more effective we can be. If you would prefer to work with one single resource that you can trust for your air pump repair, pump parts and product selection assistance, we invite you to contact us. We want to be your one-stop resource for process equipment, air pump repair and related services for your facilities in Florida, Georgia, Cayman Islands, Trinidad, the Virgin Islands and beyond. We look forward to serving you and your team!